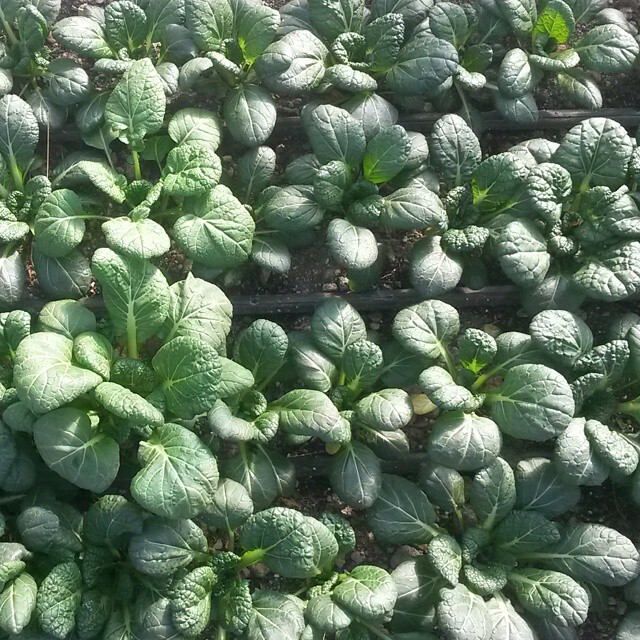 Winter is harvesting greens in the afternoon (as opposed to in the morning, as one must do in the warmer months) to avoid high nitrate levels found in winter greens in the morning hours. …realizing our heater in the walk-in “cooler” isn’t warm enough to keep it above freezing when it is 10 degrees outside. …relaxed mornings around our wood stove, with no hurry to get outside and start work. …soaking up the afternoon sun, rather than shielding it. …really, really cherishing hot bread, straight from the oven. …finishing up work by 5:00, time for an early and relaxed dinner as a family, and time for music and board games before bed. …time for construction projects and fixing things. Pictured here is the new framing in the part of the barn that will be our new pick-up area/farm stand, plus the shadows of Janet and the new baby. Winter is thanking you all for accepting this email delivered late, as we needed to wait until the highest temperature of the day to see how greens in the high tunnel fared. Stay warm, everyone! Garlic, Hearty Mix, Microgreens, Radishes (red), Salad Mix, Spinach (asian), Pepper Jelly, and naturally leavened Hearth Baked Bread. 2015 Market Share CSA Members: Choose your selection through our Online Ordering to order for pick up on Saturday at our farm or at Good Health Herbs, or on Sunday at the UU Church, adjacent to Byrd Park (details on the ordering page). **Anyone may order select goods from us through Fall Line Farms, Richmond’s online farmers’ market. You can use discount code “broadfork” to earn a complimentary 6 month membership.